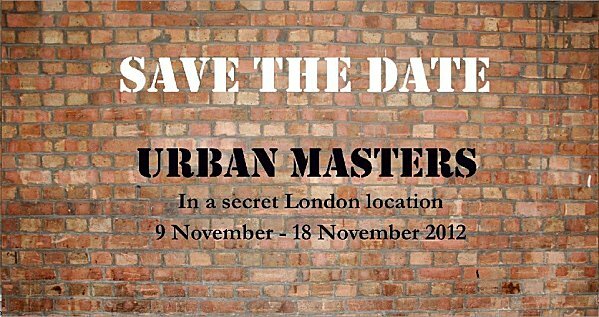 URBAN MASTERS - an alternative art installation giving street and urban artists a chance to render homage to the masters, masterpieces and muses that have influenced their journey through the world of art and played a part in who they are nowadays. This will be the biggest urban and street art exhibition yet hosted by Opera Gallery in London, and most certainly one of the most important events on the London street art scene this year. 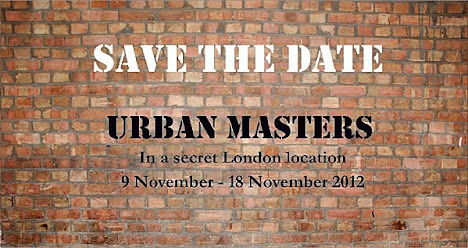 With a broad scope of contemporary urban and street artworks and installations, URBAN MASTERS attempts to capture the feelings and experience of the artists who were invited to give their personal interpretation on the marks left by art history-makers. The exhibition will also offer attendees a unique opportunity to meet some of the artists involved as there will be a poster / book signing featuring many of the aforementioned artists on the day of the public opening of the show: Friday 9th November 2012, 11am-7pm. Date: 09/11/2012 - 18/11/2012, Monday- Saturday 11.00am - 7.00pm.